Item # 317826 Stash Points: 2,495 (?) This is the number of points you get in The Zumiez Stash for purchasing this item. Stash points are redeemable for exclusive rewards only available to Zumiez Stash members. To redeem your points check out the rewards catalog on thestash.zumiez.com. Bring a new centerpiece to the forefront of your daily looks with Hoonigan's Crash Helmet Black T-Shirt. 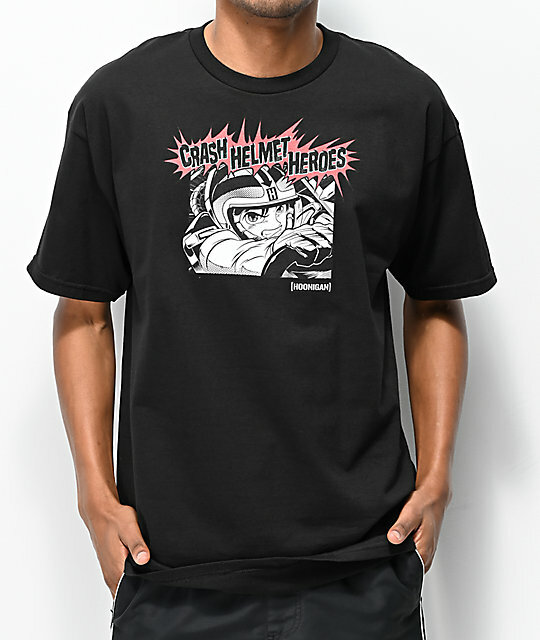 This soft cotton tee features a large Manga-inspired graphic of a race car driver accompanied with the text "Crash Helmet Heroes" and signature logo script. 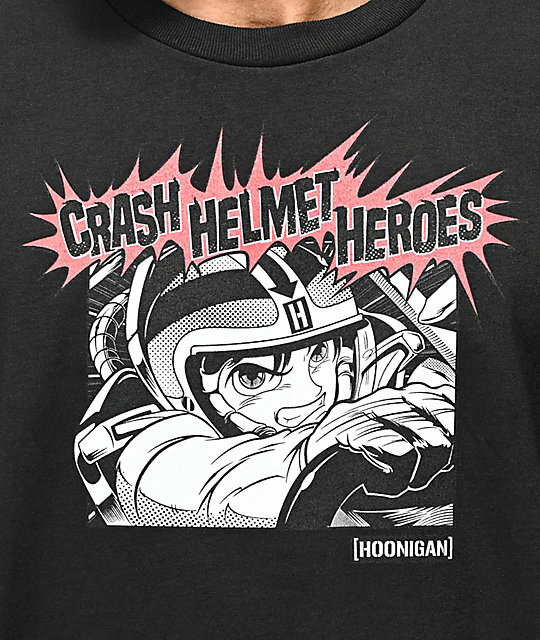 Crash Helmets Black T-Shirt from Hoonigan. 31" (78cm) from top shoulder seam to bottom hem.